Make sure to come out on Saturday at 2:00pm for our annual celebrity rib eating contest. See some of your favorite Local celebrity’s stuff their faces with BBQ ribs. 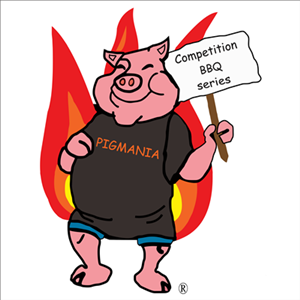 8 local celebrities will be selected to participate in our rib eating contest. The winning celebrity will receive recognition and a trophy. The Rib Eating Contest will begin on Saturday, June 30th 2018 @ 2:00 PM. The object is to eat 11 Rib Bones as fast as you can (First one to finish with clean bones or the contestant that is the furthest along when the 8 minute mark hits will win). Contestants may eat either sitting or standing in their designated area using their hands. Contestants will be allowed to drink water during the competition. Contestants must wait for the starting signal to begin eating and may not touch any food prior to the starting signal. Contestants must stop eating and must promptly place their hands down on the table or at their side at the ending signal. 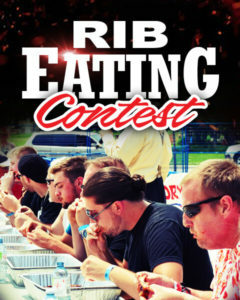 Contestants may not put additional portions in their mouths after the ending signal, but will be allowed 15 seconds to swallow any rib already in their mouth. If a contestant throws up or regurgitates, he or she will automatically be disqualified. Judges will be on hand to assure adherence to contest rules, tally the number of rib bones eaten, monitor the “no throw up or regurgitating” rule, and to disqualify contestants who fail to adhere to these rules. Winners will be determined by counting the number of food items finished. In the event of a tie, after a brief interval, 1 minute and 30 second eat-offs will take place until a winner is selected. False or incomplete entry form or liability waiver. Any health risks that could jeopardize the contestant’s health or wellbeing. under the influence of any substance. Appearance is deemed inappropriate or unattractive. Starting prior to the start signal. Continuing to eat after the ending signal.